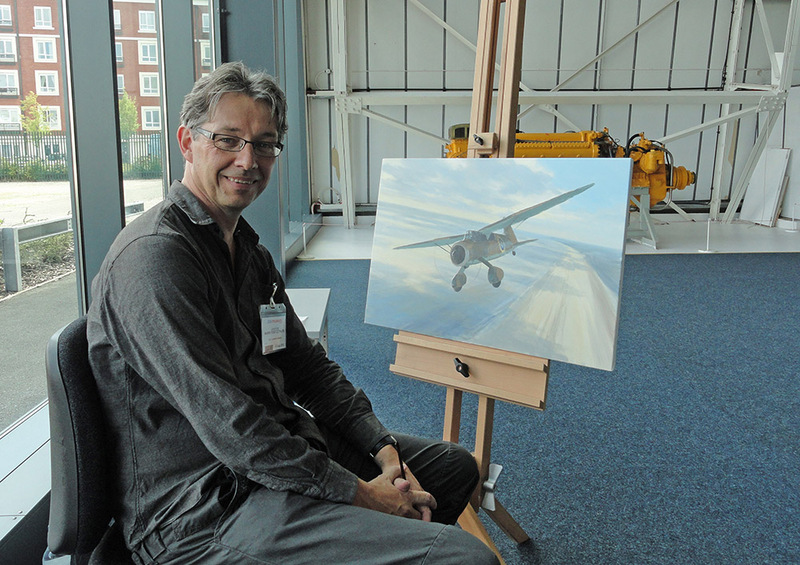 In 1987 Mark became the first ever Artist in Residence at the Royal Air Force Museum Hendon in what was the first major exhibition of his work. In 2012, Mark returned to the museum to take up residency once again for two weeks to celebrate the 25th Anniversary of the first event. 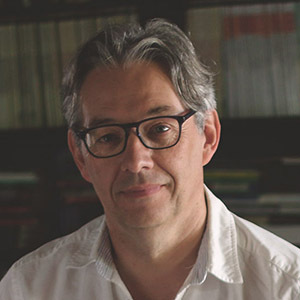 Artist in Residencies take many forms but Mark's approach has always been to involve the public as much as possible in whatever he does. So for the first week Mark sat and painted the Westland Lysander in the Battle of Britain Hall and in the second week Mark painted the Harrier in the Milestones of Flight Hall. 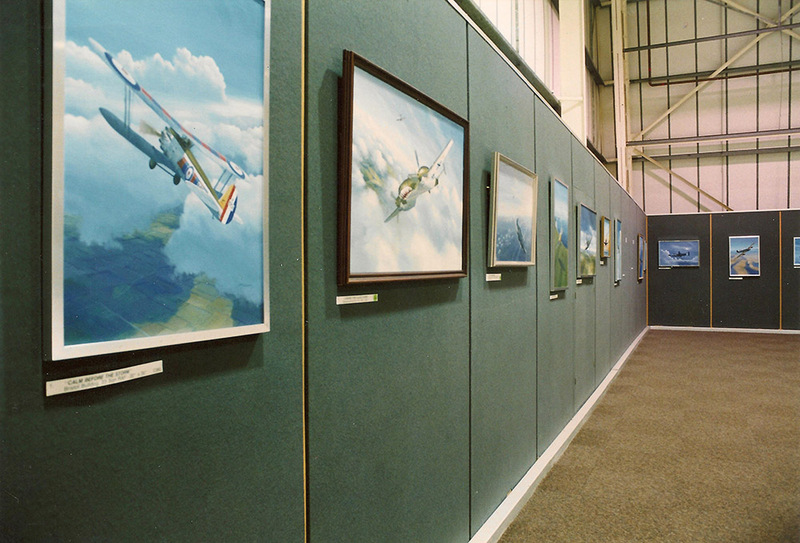 The first week's painting took place in the Battle of Britain Hall. With both paintings Mark invited children to help him paint the canvases by adding a bit of cloud or painting some background details. This of course meant that they had to sign the back of the painting as a co-artist which proved to be great fun for all concerned and a highlight of their visit for many of the children. 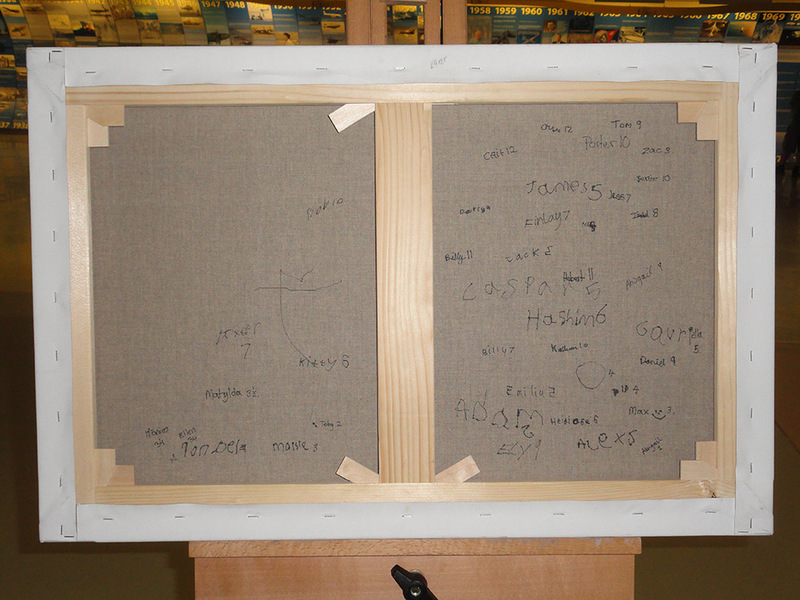 The back of the Lysander painting with all the co-artist's signatures! 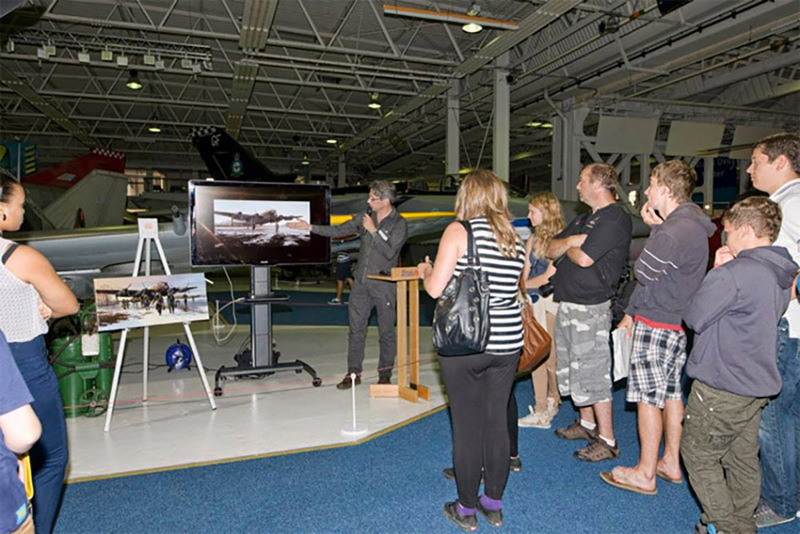 Apart from the painting sessions Mark also gave illustrated talks in various locations around the museum and chatted to visitors about all aspects of the museum's aircraft and exhibits. Mark talking about the painting of his popular canvas 'Veterans'. At the end of the two weeks, the feedback from both visitors and Museum staff was overwhelmingly positive. Mark also enjoyed the experience and would be happy to consider a similar project in the future. 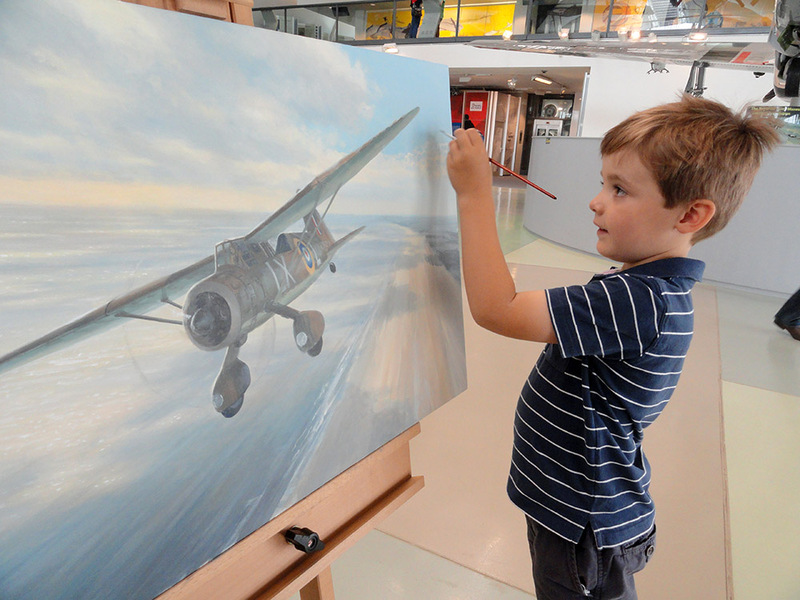 The Harrier painting now hangs in the RAF Museum Collection signed of course on the back by many budding artists of the future. 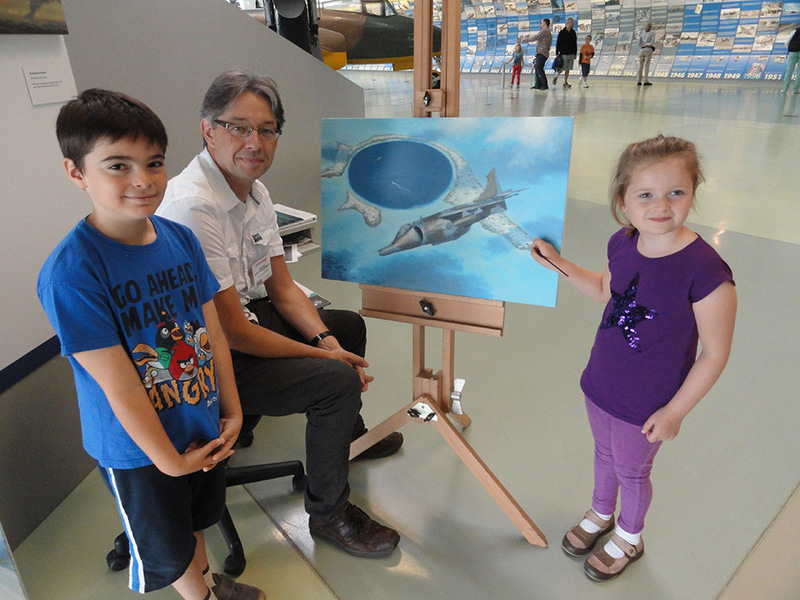 The Harrier painting takes shape with the aid of a couple of younger visitors.